Super Lady Luck is an online video slot of 243 paylines and 5 reels powered by iSoftBet software platform. Minimum and maximum coins per line for this beautiful slot game are 1. Coin size for this slot ranges from 50p and £50 per spin. Return of player percentage for this game is 95.40%. Maximum coins you can win here in this game are 15000. 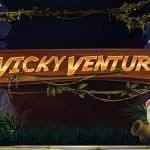 This beautiful slot game contains superb visuals, re-spin feature, expanding wild symbols,, a bonus feature of 30 free spins and 2 progressive jackpot prizes. There are two progressive jackpots can be won in this game. The one is with getting 5 wild symbols on active paylines and another is the Black cat progressive jackpot. 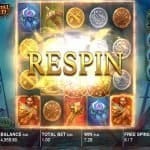 The re-spin feature is also available in this slot game which can offer you free re-spin. You can also trigger the Ring Spin Feature and during this feature you would receive up to 30 free spins as well as symbols from reels 1 to 3 will change at the same time and will form winning combination. 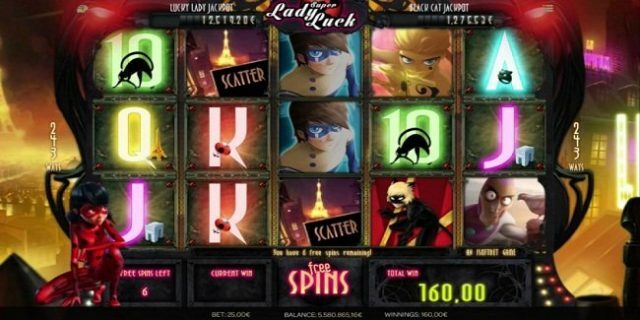 You can play Super Lady Luck Slot at any mobile phones, smart phones, desktop or any gadgets. 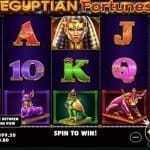 You can play these game using iSoftBet online casinos for real money or for fun either. The Black Cat superhero symbol is the wild symbol here in this game which can substitute all other symbols except the scatter symbol which and Lady Luck. The Black Cat is an extended wild symbol which forms great winning combinations.